Ang & Co. was established in 1980 by Ang Kong Meng. 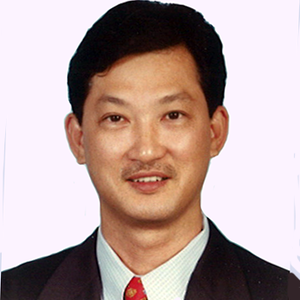 The firm expanded further with the admission of a new partner in 1992 and also with the acquisition by Ang Kong Meng of equity interest in another established local CPA firm, Messrs Lee Boon Song & Co. Today, the combined strength of the two firms is set to carry out the mission of providing our clients and affiliates with the best possible quality, cost-effective professional services, and to develop good relationships with clients. The two firms offer a full range of accounting and consultancy services including Audit, Accounting, Corporate and Personal Taxation and insolvency. In June 1995, Ang & Co. (in conjunction with Lee Boon Song & Co.) joined PrimeGlobal, an Association of Independent Accounting Firms. On 3rd January 2013, we changed our business structure from a public accounting firm, Ang & Co., to a public accounting corporation, Ang & Co PAC. Similarly, on the same date, Lee Boon Song & Co. was changed to Lee Boon Song & Co PAC. Other than these, there was no change internally in the two firms. The firm’s aim is to continue to grow and to be a more efficient, client-oriented organization offering quality service based on its years of experience in Singapore. Welcome to Ang & Co PAC. I established the firm, Ang & Co., in 1980. Although we are a medium-sized firm, our partners and staff are well-qualified and have many years of experience. Our clients are assured of the personal attention of our partners and staff to their needs and also our prompt response to their inquiries. Please contact me.